Hello to all my crafty friends. It's amazing that about 10 months ago, my goal was to just start crafting again. I blinked my eyes and so much has changed. Family members have moved into assisted living, hubby and I decided on a whim to up and move after 20 years in the same place. Do you know what's it's like to pack up and move 20 years worth of stuff. OMG. Especially someone who loves crafting? Why of course you do!! To pack up and move all those crafting items was an eye opener. 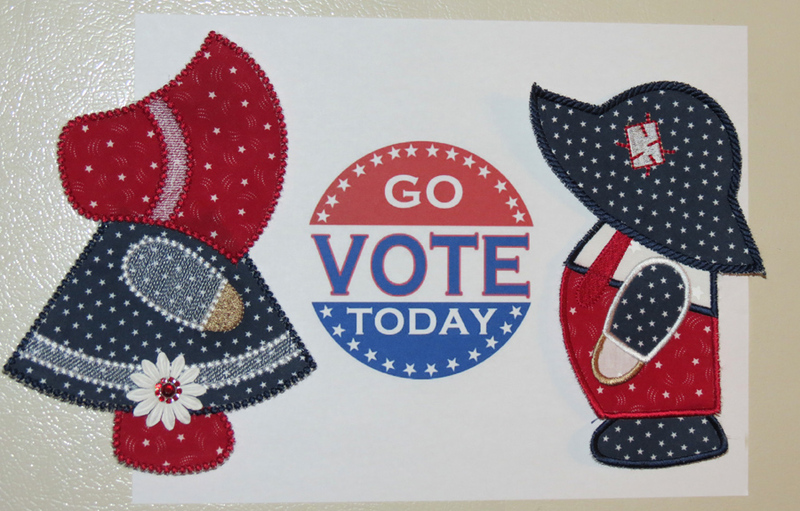 So, to bring myself back into the blogland, I share this repeated photo to remind everyone to get out and vote! !